December 5, 2017 In September 2016, Canada West Universities Athletic Association (CW) drafted a comprehensive Request for Proposal document that outlined their current and future streaming needs. As the governing body for university sport in Western Canada (BC, Alberta, Saskatchewan and Manitoba), Canada West is a premier university athletic conference and is home to champion student-athletes that excel on the field, in the classroom, and in their communities. Its 17 member institutions commit to a student-athlete experience where competitive excellence, scholarship and sportsmanship contribute equally towards molding outstanding graduates and community leaders. Canada West is one of four conferences across the country, with the others being Ontario University Athletics (OUA), Réseau du sport étudiant du Québec (RSEQ) and Atlantic University Sport (AUS). The conferences compete nationally within U SPORTS – the national governing body for university sport in Canada. 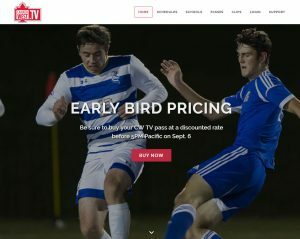 Since CW began Canada West TV in 2011, the conference has consistently raised the expectations placed on members to provide quality webcasts. Despite significant strides being made, there were still areas for webcast improvement. The conference was looking to improve the usability of the platform, increase streaming quality, and implement existing and new technologies to generate increased subscription revenues. Yare proposed a new responsive site design for Canada West TV, introducing adaptive streaming technologies and providing new web and streaming analytics interfaces for management. The new design addressed Canada West’s request for a “visually and aesthetically pleasing gateway design” enabling users to easily access over 1,100 live and on demand events from PCs, smartphones, and tablets. Schools were enabled with real-time video clipping capabilities to post highlight clips to popular social media networks and drive awareness of the service. Enhanced packaging capabilities and dedicated customer support for the schools and fans rounded out the solution. Canada West and Yare entered into an innovative partnership. Instead of contracting the service out to Yare, Canada West and Yare jointly created a subscription and pay-per-view model that addressed mutual business objectives. Within the first 90 days of launch, the service generated an 80% increase in revenues compared with the same period in the previous year. To put this into context, in the previous six years of operations, Canada West TV generated subscriber increases of between 10 and 15 percent annually. Over 48,000 users have generated 669,000 page views during the launch period of August 16th through November 20th 2017. Average audience viewing times of 2 hours and 39 minutes are testimony to the quality of the new video experience. Canada West avoided the costly start up charges normally associated with the deployment of a new OTT platform, adaptive video, pay-per-view video processing and payment infrastructures. And perhaps most importantly, they were able to simultaneously supply fans with a superior offering and drive substantial growth in revenue for the conference and its member schools.